Quick professional repair service to all brands of PC computers systems. We can diagnose you computer problems and offer you the best solutions. Sorry but we do not service Apple products. We are able to assist you with a variety of computer needs. Please call 250-383-3755 to make an appointment. Most services are completed next day unless hardware needs to be ordered in. Our shop service rate is $75 per hour. We charge for the time spent in front of your computer not for how long it's on the bench. Maybe you need a tech to come to your home to fix a problem, setup a printer or even give you a lesson. We are able to assits you with many in home computing needs. 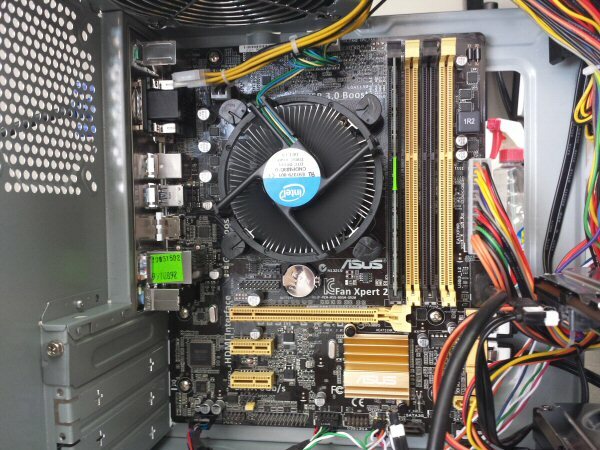 Most computer hardware repairs are better handled in our repair facility. We will be able to tell you wheather your issue can be fixed onsite or if it's best to bring it in to our shop. Give us a call at 250-383-3755 today. Our In Home service rate is $90 per hour. If your business is too small to have its own tech on the payroll, you can hire us when you need professional face to face service. We offer a variety of specialized services for small businesses. Just give us a call at 250-383-3755. We are more than happy to help you out. Our Onsite Business service rate is $90 per hour. After hours service is available at $125 per hour. Face to Face Computers has partnered with Datarecovery.com to offer professional data recovery services. Datarecovery.com offers Free shipping both ways plus a No Data - No Charge Guarantee. If you have an immediate data recovery need just click to access a Service Request Web Form .